The respective UK 1,500m steeplechase records were never seriously challenged at Doncaster Athletic Club's fourth annual Spring Open meeting on Saturday. 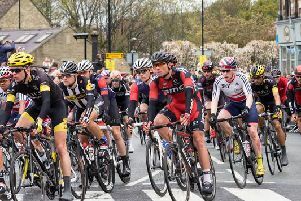 The men's race was won by Sheffield University student Tommy Horton in a time of 4 minutes 23.28 seconds. Horton, who benefited from the absence of last year's winner Bertie Houghton (Doncaster), led from gun to tape. Doncaster teenager George Phillips, third overall in a time of. 4.40.42, took the honours in the U20 race, with clubmate Kalum Silcox (4.44.77) finishing fourth. The women's race was also won by the favourite. Bristol's Lucy Thornton showed few signs of a midweek car crash as she stormed to victory in a time of 4.50.10. With around 100 athletes entering on the day, the start of the meeting, which also finished much later than expected, had to be delayed by over 20 minutes. U-13 girls' 100m: Niamh Latibeaudiere (first in 13.97 seconds); U17w 100m Sophie Mills (second in 13.17 seconds); U20m 100m: Keiran Lewis (third 11.48); U11g 600m: Rebecca Edgar-Barrows (third 2.12.51); U11b 600m: Lysander Lawson (second 2.09.92); U13b 800m: Jacob Swales (third 2.38.46); U15b 800m: Ben Watkinson (third 2.29.31); U17b 800m: Nisham Singh (first 2.17.17); U17g 800m: Ellie Watts (third 2.20.24); U20m 800m: Callum Wilson (second 2.11.24); M Jav: Ian Wright (1st 41.46m), Dave Long (second 40.34m); U15g high jump: Maddison Simpson (first 1.40m); U17w long jump: Laura Chappell (third 4.58m); U13g shot: Ava Jones (second 6.34m); U15g shot: (first 9.18m); U17w discus: Mollie Magee-Sharpe (first 29,34m); U15g discus: Katie Barnes (third 17.43m).